Each month the Learning Centre is placing a book In the Spotlight. If you would like to borrow it, feel free to come and see us in the Learning Centre. A sweet, moving novel about two misfits finding love in the most unexpected of places. Meet Eleanor. She’s just moved to a new town, is struggling to make friends and is finding it even harder living under the same roof as her dysfunctional family. When she first meets Park, she thinks he’s obnoxious. Meet Park. He’s liked by everyone but has never felt liked he fitted in. He loves his family but feels like they don’t understand him. When he first meets Eleanor, he thinks she’s weird. It is hate at first sight. 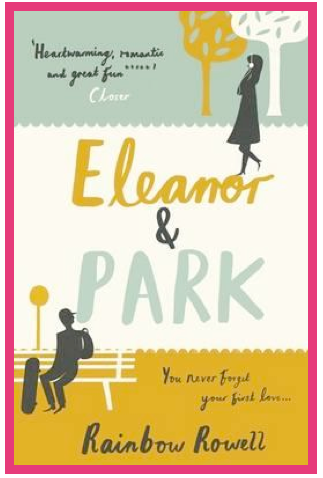 But as they suffer each other’s company in silence on the bus rides from and to home every day, Eleanor and Park realise that first impressions can be deceiving.